Use our rate calculator to find out how the new rates will affect you. Need more stock? Got too much? Adjust the Stock Allowance and/or Units Used as needed to discover where you can save money. 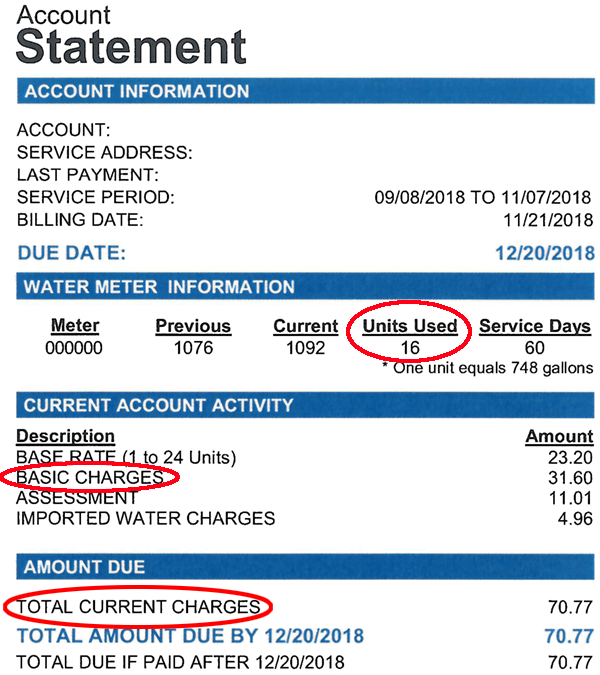 You can find your Units Used, Basic Charges and Current Charges on your latest statement. WHWC staff is available to answer questions Monday – Friday 8 am to 4 pm at 909-790-1901.